​Ajax left back Nicolás Tagliafico has insisted his focus is solely on the present as rumours intensify with Real Madrid, Barcelona, Atletico Madrid and Arsenal all keeping tabs on the Argentine. Speaking as quoted by ​Mundo Deportivo, the 26-year-old refused to get caught up in the prospect of a move to ​La Liga giants ​Barcelona or ​Madrid, instead claiming his sole focus remains on the present and enjoying his football. A fantastic year got better for the former Independiente star, after Ajax's historic defeat of Los Blancos in the Champions League followed the defender captaining his native Argentina in the absence of ​Lionel Messi. 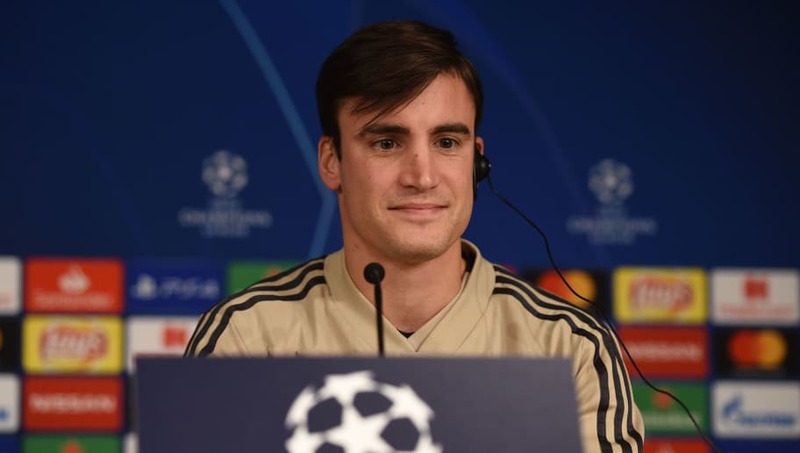 Ajax face the daunting task of a quarter final tie with ​Cristiano Ronaldo's Juventus after their victory over Madrid, with Tagliafico fully aware of the task at hand, and how stopping the Portuguese star will be key to their success.